Greetings! I come bearing patch notes and answered questions for the proposed white paper. First of all, thank you to everyone for the wonderful feedback. We could not be happier with the participation. Second, we have surpassed the 5% required to validate the poll. This means that the poll result will be acted on. And finally, we encourage people to continue voting -- make your voice known! The updated white paper, v1.0.1-draft, can be found here. Changed the subtitle formatting to two lines. "Every phone, every computer, every gaming system, every car, refrigerator, toy and object that houses a processor is potentially part of this network." Any object that houses a processor is potentially part of this network. This includes not only computers, but also everyday objects such as phones, gaming systems, cars, toys, and smart appliances. Pg 4., Updated the sidebar listing the BOINC projects to better show what projects are whitelisted. Added a superscript 13 for footnote 13 which points to an actively maintained whitelist. Clarified that this list is accurate as of March 3rd. Pg 4., Changed the phrasing of the sentence which includes the "enigma machine." 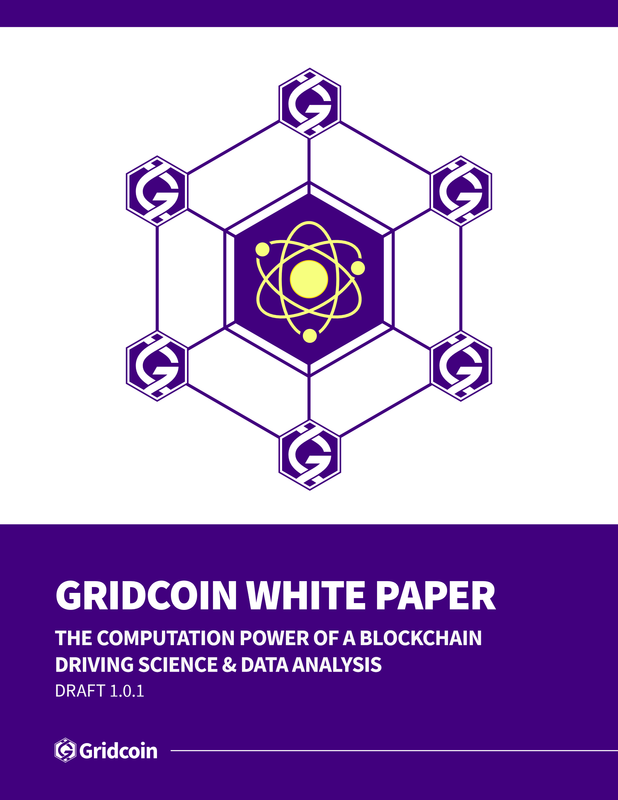 The Gridcoin network is comprised of blockchain purists, enthusiasts, and coders; established scientific, commercial, or institutional researchers; Ph.D candidates and undergraduates; as well as citizen scientists, data analysts, makers, tinkerers, artists, entrepreneurs, and individuals and groups of all backgrounds. Regarding open access/open data, how do we support these initiatives? We do not have any scientific data or scientific publication stored within our network. Do we simply support these initiatives in principle only? We support these initiatives in principle, yes. We also support development and operation under these principles. 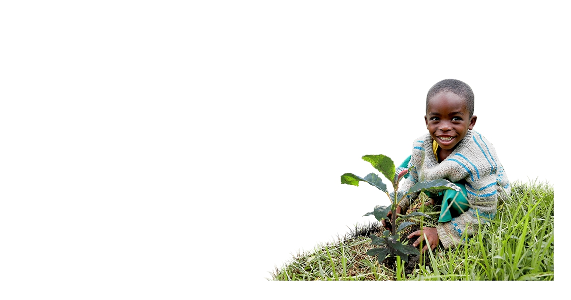 Who knows how we will support these initiatives in the future! I would like to suggest that the poll only be done once the UI redesign is complete and a notification for polls is added to the wallet because it may be acceptable and representative, Getting as high a participation on such an important poll is preferable. We agree that the voting UI needs some updating, however we cannot guess how long this updating would take. Because of this, we think it is important to keep this vote going. Only one question; why does the whitepaper not include any economics of the inflation, and why that is overall beneficial to a currency (versus an investment vehicle). Perhaps could include in a later version. As noah-blaker points out, the economics of Gridcoin are undergoing extensive reworking. We think it is better to leave these details out until any changes are implemented. Economic details will likely be added in a later version. The current paper does define GRC as a protocol-defined inflationary cryptocurrency. Thank you for all your questions and suggestions! Please continue. We will release another patch if and when more updates are made. The people named in the introduction of the original proposal welcome GRC donations for their work. It will be split among them. Thanks for the update. It's great to see feedback from throughout the community! You just planted 0.51 tree(s)! Ummm %5? When did it change and go down from 20%? There was no vote nor notification of a change from the 20% user participation requirement for a foundation poll to be relevant no matter what the results. Or was that another Gridcoin back room Slack dev channel change by the GRC8 clique posse and the actual community had no say and as typical for your posts your assumed " leadership " agenda being pushed on the rest of us users making up the other 99.9% of community and user base? On a positive note It's all pretty and wordy but its also unnecessary and is just more spam marketing bs like all of your posts and contributions seem to be. Who the hell is going to download and keep this eye candy only .pdf let alone read all the nonsense big wording used trying to make yourself and the " Gridcoin spam marketing collective group " look vital to the continued existence and ongoing heartbeat of Gridcoin as if you personally are critical to the continued existence of Gridcoin. Ever heard of K.I.S.S. ? Keep it simple shithead , this is just going to confuse the already confused user base even more. Not everyone is tech , crypto or blockchain savvy that crunch and are part of the team earning Gridcoin already. This is what the website www.gridcoin.us or the wish it was the official one and only website gridcoin.science is for. Or are you and your team of spam marketing group going to be printing this out and like the Jehovah witnesses going door to door handing out the paper " Gridcoin flyer " asking people if they have phones, gaming systems, cars, toys, and smart appliances along with computers ( don't forget those , oh and not just CPU because GPU's matter too ) trying to sell them on Gridcoin and recruit them into crunching for science and team Gridcoin or just getting them to invest their cash money? If so they might think you are scoping their house to latter break in and rob them. The private dev channel was required as debugging discussions were being spread as facts. It was impossible to hold a conversation when you had to stop to debunk Twitter and IRC doomsday posts every 10 minutes. This was not a Foundation Poll, thus 20% was not required. Note that this poll stands at 15.16% participation currently regardless. There is still a month to go, so it may well hit 20% by that time. Unless a whale votes NO like always swinging it to the other way like how polls are always catering to them and not the other 98%. That also mean's that it should be invalid because its in the wrong vote system category as it should be a foundation vote and not just another opinion only poll that is or isn't relevant or matter thus not setting it in stone so the outcome is /dev/null kthx. You can post a poll of who likes toast or not and it would be just as irrelevant unless this sort of thing is under the foundation. Notice his post before this , on polls and how they don't have any defining factors making them irrelevant as fits nice with this one. This is not a foundation poll as it does not involve the foundation in any way.